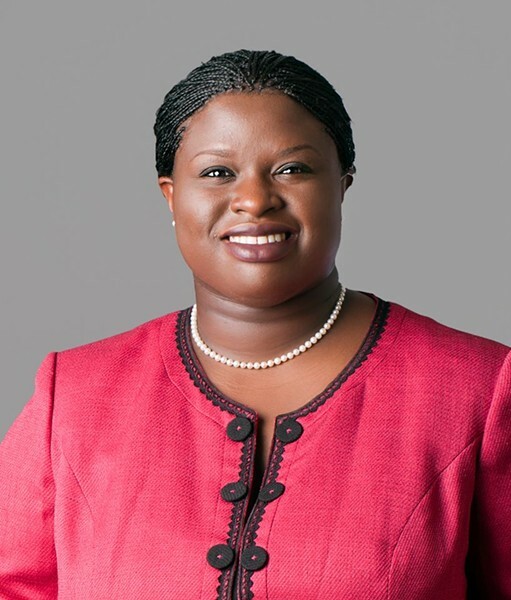 Nekima Levy-Pounds, a civil rights attorney, president of the Minneapolis NAACP and adviser to Black Lives Matter Minneapolis, has emerged as one of the leading national voices in the ongoing debate about police and race relations. She will speak at Saint Michael’s College on Wednesday, September 7, at 7 p.m. at the McCarthy Arts Center. Burlington Police Chief Brandon del Pozo is scheduled to speak after her. In advance of her talk, Levy-Pounds spoke with Seven Days about modern policing and racial tensions. The conversation was edited for clarity and brevity. SEVEN DAYS: In the two years since Ferguson, how far has the conversation about police relations and minorities advanced? NEKIMA LEVY-POUNDS: Some people are stuck at the conversation level, the shock and awe of seeing unarmed people killed on video by police, but we have to begin to take the conversation to the next level if widespread change will occur. I would like to see a jurisdictional overhaul of policing. We can all agree we want police to protect and serve, but sometimes lines are crossed, unarmed people are hurt and killed, and there’s a lack of accountability. SD: If there was one immediate change you could make to the criminal-justice system, what would it be? NLP: I would eliminate low-level ordinances in most jurisdictions. They lead to individuals who are not engaged in any criminal activity being stopped by police, frisked, pulled over, et cetera, and we don’t have much evidence that citing and arresting people for low-level offenses is actually a benefit to public safety, and it actually drains a lot of resources. The broken-windows theory has been debunked in many instances and yet it is still used, even if they don’t call it that. If people are brought into the ever-widening net of the criminal justice system, there are collateral consequences to employment, housing, the stigma of having a criminal history. SD: Do you consider marijuana possession, and more broadly the War on Drugs, part of the low-level ordinances that should be eliminated? NLP: We continue to spend trillions fighting the [drug] war and incarcerating people, and drugs are cheaper and easier to get and more potent than ever. And our police forces are becoming more militarized — even though we’ve lost the war. In terms of marijuana policy, I find it disturbing that there’s no consistency across the country. SD: How do you spread your message in a place like Vermont, a liberal state with a small minority population, and one that can be guilty of thinking it doesn’t suffer from these problems? NLP: What’s happening in Vermont is a microcosm of what’s happening around the country. 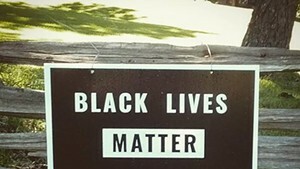 Minnesota, known for being progressive and majority white, it’s very similar in terms of the white majority thinking, Things are OK, we’re in a post-racial society. So we’ve been strategic about shining a light on the systemic patterns of oppression we see, in the uneven enforcement of our laws and policies. Just because you have a small population of minorities doesn’t mean you can ignore what’s happening to them. SD: When confronted with evidence of racial bias, in, for example, traffic stops, police often argue that their officers are not racist, but rather suffering from implicit bias. What do you think of that argument? NLP: Implicit bias is certainly an issue for a percentage of officers. However, there is something known as outright bias that we cannot ignore. It’s as though people don’t want to acknowledge that people who wear a blue uniform are racist and potentially discriminatory toward people of color, but that has to be part of the conversation. In Florida, for example, you have police using mug shots of black teenagers as target practice. How is that implicit bias? SD: Police unions wield a lot of political power, and there are many laws and procedures that make it difficult to obtain records of police incidents. How can you penetrate that and make police work more transparent? NLP: It is very difficult to go up against police unions. Part of it has to do with the overall ignorance surrounding the power that they hold. They also contribute money to different campaigns and sometimes they engage in intimidation. We have to begin to be more discerning when it comes to police unions, not just assuming they are good for police and society. We need to make sure there are proper checks and balances and we need to be willing to intentionally challenge things unions do that have negative impacts on our communities. SD: Is it really fair to blame police officers? Isn’t it more reasonable to portray them as reflections of society, good and bad? NLP: We do have responsibility as a society, because they work for us. We pay their salaries; we elect people who are supposed to hold them and their institutions accountable. But there are specific concerns around the institution of policing itself. Folks who have power within those institutions have to do their jobs more effectively. When we know a cop is engaging in racist behavior, is abusing people, violating policies, why are we still allowing them to collect their paycheck? I don’t know too many industries in which people would be able to get away with some of things officers have gotten away with and still collect a salary and pension at the end of the day.